Today, we’re talking about a cool piece found in the Relwen collection, but first, let us introduce you to the brand. This American clothing company comes from Ohio and their goal is to create items for hard working folks from all over the country. You can find all sorts of items from jackets, blazers, and shirts to bags, bottoms and sweaters. This collection in particular mixes vintage aesthetics with the classic Americana style. We are glad to share with you the stylish and easy wearing Keel Blazer. It features the style of a classic sports jacket and provides comfort. This means you can wear it for almost any occasion and easily combine it with different outfits. But the style is not its only great feature. The shell is constructed out of 97% cotton and 3% spandex material. Just like the exterior, the interior of it comes equipped with a high-quality construction – a cape lining made of 100% woven cotton sateen. 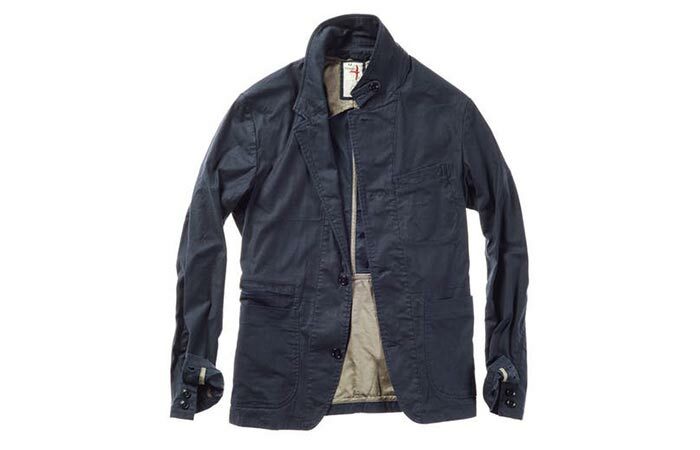 The casual Relwen Keel Blazer is made for all occasions. It comes with a touch of stretch, is comfortable and light. You’ll find four buttons on the front of it and a throat tab. 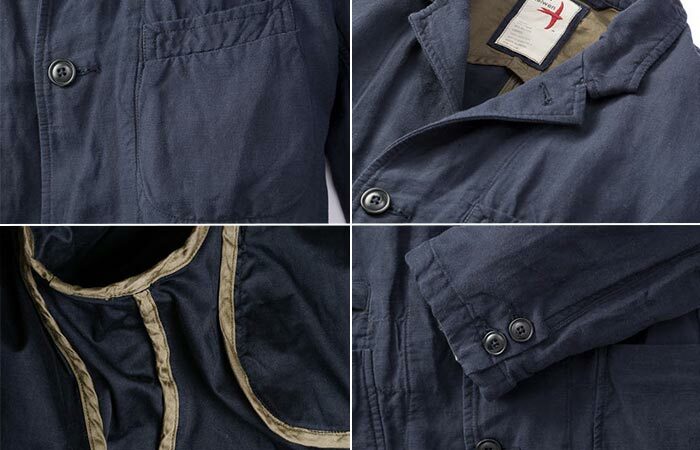 Another thing that contributes to its casual style are the working sleeve buttons. Even though it might not seem like it, the Keel Blazer has plenty of storage space. There are two welt chest pockets as well as two open patch hand pockets with interior reinforced seams. Also, a nice detail is the coil zip pocket located just above the hand pocket, a perfect place for carrying valuable items you’d like concealed. This ultimate spring blazer has one more pocket at the back with snap welt at side seam. It’s available in navy and an exclusive linen model. Get it from Huckberry here. 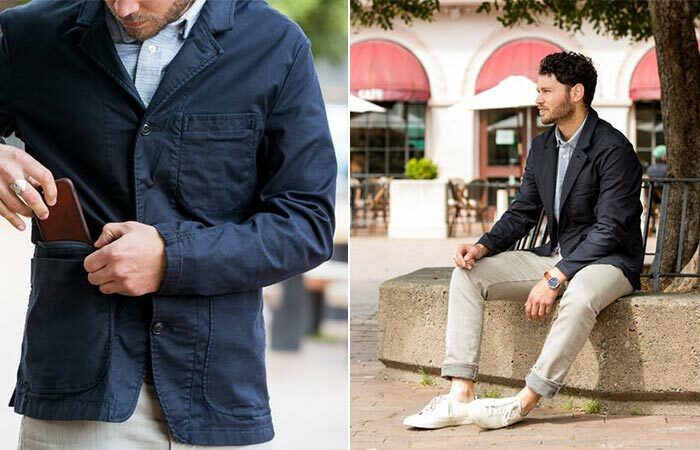 The blazer has plenty of pockets and comes in an exclusive linen option.